Luckily – Maggie lets Jessica touch her hair! Look at the gorgeous sheen on that hair! That looks like a head of hair that would take a long time to dry. There are more pressing things, right? Gorgeous hair! I love the color. 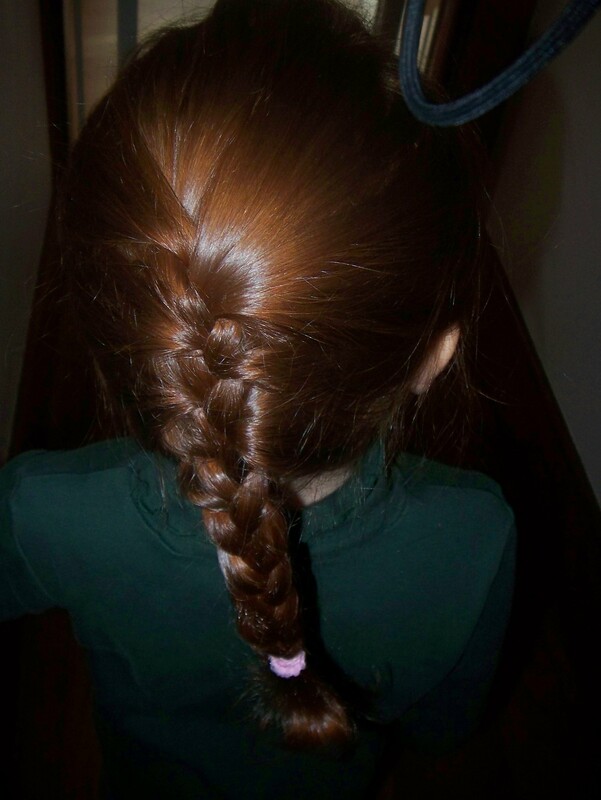 I always hoped that my kids would have red hair but none of them do. I can’t wait for Eva Rose’s hair to be long enough to play with. Hopefully she’ll let me, though I’m not counting on it.